Archangel Michael connects in this new guided meditation to assist you in cleansing and lifting your vibration to connect with your Guardian Angels and Guides. As you simply relax and listen you will be guided to align with Divine light so you can release any lingering fear, density and self doubt. You will learn and experience invoking the presence of your Spirit Guides and Guardian Angels to leverage their support and assistance to manifest your hearts desire. This 20 Minute Guided Meditation with Archangel Michael is channeled by Melanie and set to the Angels of Love Meditative music by Thaddeus. After ordering by clicking on the button below and completing your purchase, you will gain instant access to the .mp3 files, so you can begin streaming or downloading the guided meditation instantly! Within minutes, you can be totally relaxed and uplifted as you simply listen to this message and allow your team of angels to help uplift your energy and release anything which does not serve, so you can set empowered new intentions for your future and step into creating your desired manifestations. After you purchase and download this message, you can listen to it time and time again to strengthen your connection with Archangel Michael and with your team of guides and angels to flow additional energy towards a specific manifestation, or to help you manifest many new things and experiences. And remember… If you have any challenges with the checkout process, or with accessing the .mp3 files or downloading them, simply send me an email (support(at)ask-angels.com) because I'm here to help, if needed! I have been wanting to say thank you for all that you send my way, have been working with my angels for decades whom are my best companions as I’m a traveller . Appreciate N enjoy yr channelling, keep on shining n sharing the uplifting guidance n meditations. Well, the same goes here with me. Times are so tough. But it won’t always be like this. 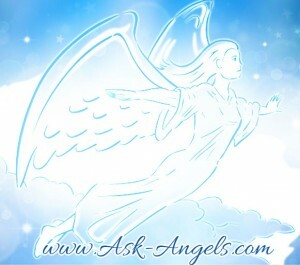 I meditate to get guidance from my spirit guides and my angels everyday. I am also working on the Universal Law of Attraction. I have lots of hope and faith and positive energy to give out to the Universe. With that, I have confident I will not be dead broke for long. Wishing I could afford to hear Archangel Micheal’s message. I believe he’ll get it to me without having to pay for it. Blessing to You! Grazie per il tuo pensiero. Sto ancora lavorando con tutto il materiale che mi hai inviato…meraviglioso, me li devo ancora archiviare spero rimangano nel tuo server per un po’ . Interessante anche il lavoro con “numerologist”. Un abbraccio di luce. Unfortunately I’m unable to purchase this as well…needing abundance of many forms right now…. Blessings to all. I thank you for all your messages, I am sorry I can not afford at this time to purchase anything, I am going through tuff times , my angels are with me I know .. And I will ge through this , I’m in the need for affordable housing or to win lotto enough to pay for housing … Amen ..